Oh SF9, you’ll always have a soft spot in my heart. The first time I stumbled upon SF9 was for their web drama ‘Click Your Heart‘ which my younger sister introduced to me on Netflix. Fast forward a few years later and I got sucked into being fan of the nine-member boy group. 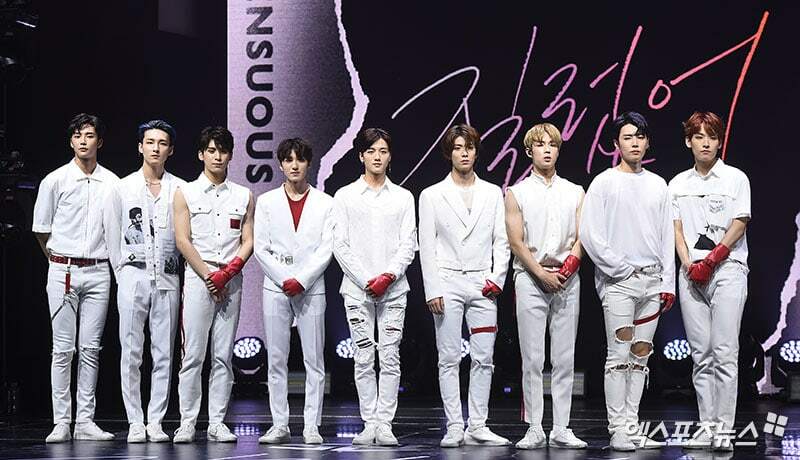 Since their debut in 2016, SF9 have gone on to make a few comebacks, with the most notable being ‘Easy Love’ and ‘O Sole Mio.’ They returned once again with ‘Now or Never’ and 5th mini-album ‘Sensuous.’ After watching the music video, some live performances, and listening to the album, I have to say that I’m glad SF9’s returned to their darker, dramatic, and more serious concept. ‘Easy Love’ is by far my favorite title track of theirs and ‘Now or Never’ kind of reminds me of another ‘Easy Love.’ Granted, they’re not the same exact song, but the vibes and concepts between the two are similar which is why I like ‘Now or Never.’ The highlight of the song will have to be the choreography though and in particular, Chani’s solo dance. Chani’s one of my biases in the group so I’m glad that he’s finally given the spotlight for once. I always assumed that FNC would utilize the attention Chani received from drama ‘Signal’ to help promote the idol group, but sadly they never took advantage of the potential and opportunities. It hasn’t been easy for SF9 considering that they’re still trying to get their name out there. It’s unfortunate that their agency is FNC as well who’s known to not be the best in promoting their groups. Despite the doubts, I believe that SF9 will rise to the top and become of the top groups from the 4th generation if they are just promoted and managed properly. It’s a good thing FNC is already giving them consistent comebacks and new music, but the boy group just needs a little more push to hit it big. Meanwhile I’ll be here cheering for the boys the entire way.